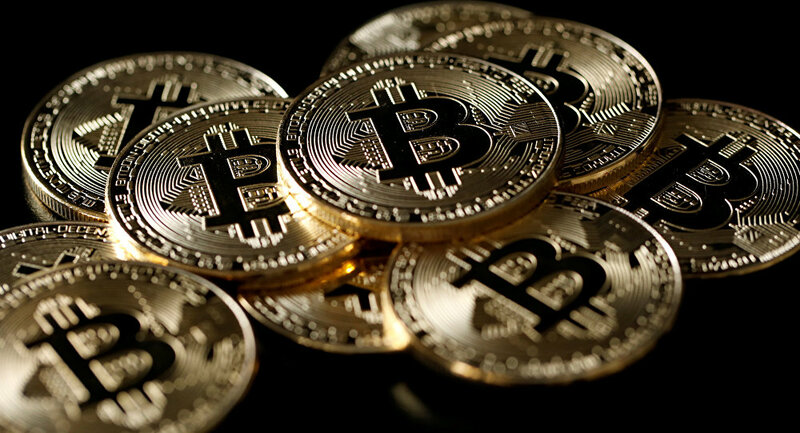 Cryptocurrencies have been one of the hottest topics throughout this year, with Bitcoin repeatedly making global headlines with its record-breaking performance. Sputnik discussed the prospects of the digital currency with Roman Tkachuk, a senior analyst with investment company Alpari. Bitcoin, the world’s most popular cryptocurrency, skyrocketed in 2017, from below $1,000 in the beginning of the year to the historic milestone of $20,000 earlier in December. The cryptocurrency market has recently experienced a string of losses, culminating in a nosedive on December 22, with Bitcoin falling below $11,000. After the drastic downturn, Bitcoin recovered and has been hovering between $13,000 and $16,000 in recent days. Sputnik: Today, as Bitcoin is shattering record after record, what is your forecast for 2018? Tkachuk: Bitcoin is a new tool, so conventional analytical instruments cannot always be applied to it. The global trend for its growth remains, including the futures prices on the Chicago exchange. In general, market players expect the upward trend to continue. Sputnik: How can you explain the losses in the price of Bitcoin? Tkachuk: High volatility is normal for new financial instruments. A dramatic increase in price is usually followed by a major drop. Investors are very sensitive to the news and carefully react to any changes. In addition, until this month, Bitcoin had traded only on electronic exchanges, which are less stable than traditional exchanges. Sputnik: While the popularity of Bitcoin is an accomplished fact, how could you comment on other cryptocurrencies? Tkachuk: Each blockchain technology and each cryptocurrency has their own feature. For example, the Ethereum platform has smart contacts. Dash is anonymous while Litecoin and Bitcoin Cash have an increased block size. The popularity of a cryptocurrency depends on how investors see the prospects of its technology. It is noteworthy that recently Bitcoin Cash, Dash and Monero have shown major growth. Sputnik: What do you think about the suggestion, for example, by Saxo Bank analyst Kay Van-Petersen that Bitcoin’s growth could be taken down by Russia and China? Tkachuk: Russia’s share in global cryptocurrency trading is small and the influence of our country [on the market] is insignificant. But China is a trendsetter. Bitcoin dropped in September when the Chinese regulator was tightening the screws in the cryptocurrencies market. Sputnik: The Russia government has discussed the idea to introduce the so-called "CryptoRuble," which would be the only legal digital currency in Russia and would be taxed just like the Russian ruble. What prospects would such a currency have? Tkachuk: The two main features of any cryptocurrency is the absence of regulation and anonymity. The CryptoRuble would have neither and so it would face difficulties competing for investors with other cryptocurrencies. If the Russian government strictly regulates the market there will be a shadow market. Transactions in cryptocurrencies are almost impossible to trace. Sputnik: Bitcoin has a number of competitors, some of which are backed by oil and gold. What are the advantages of such cryptocurrencies? Tkachuk: I think that cryptocurrencies backed by physical commodities will not be very popular. We can see this on such examples as Bilur, which is backed to oil and GoldMint [backed by gold]. If you want to place a bet on the growth of oil or gold – bet directly on oil or gold. Due to the same reason, buying bitcoins is better than buying Bitcoin futures. Sputnik: Is the dramatic increase in the popularity of cryptocurrencies already affecting traditional currencies or maybe its influence could in the future? Tkachuk: Today, in terms of its size, the cryptocurrencies market cannot be compared to the traditional financial market. For example, Bitcoin’s market cap is hundreds of times less than the money stock in the United States, the American stock market’s cap or American GDP. In the future, blockchain could take its share in the payment systems market, but will not completely replace Visa, MasterCard and PayPal. In some situations, a regulator is important and the risks of blockchain are not well assessed. In general, the future of cryptocurrencies will depend on the policy of global regulators. The views and opinions expressed in this article are those of the speaker and do not necessarily reflect the position of Sputnik.